Green Certification in Subtropical climates, such as South Florida, has many pros and cons and making the decision to go green can be a difficult but fruitful one. The heat in the summer and the pounding sun throughout the year make air conditioning here a basic necessity. Power bills are generally much higher than elsewhere in the continental US and the intense sunlight also damages building facades and roofs faster than if in a temperate zone. The Subtropical sun is also more intense contributing to the heat island effect. The sun is not the only challenge a Subtropical climate faces, but high humidity brings with it mildew and mold into homes and requires special treatment of building materials and construction practices. Finally, frequent and heavy winds accompanied by plenty of rain can easily damage more fragile building materials. Stormwater management must be addressed even on small projects. The Florida Hurricane Code tests building wind loads and sets minimum standards. This is set under the Florida Building Code: Test Protocols for High-Velocity Hurricane Zones. When deciding whether or not to pursue certification, one item to consider is whether increased operations cost will outweigh the initial investment. Is it worth it to you? Replacing appliances and other fixtures has sometimes a larger initial cost, but the benefits can include lower energy and water bills. In LEED(R) for New Construction and Major Renovations there are many points that are easily ontained with little added cost. In the Sustainable Sites category, there are several credits based alternative transportation methods. Creating space forbicycle storage and changing rooms with showers and having access to public transportation are simple additions in the scheme of a large design. Other attainable points can be found in the category of Materials and Resources. In this category, using regional materials (materials from within 500 miles of the site) can actually lower the cost of construction by minimizing transportation costs. Material reuse on site is also beneficial and lowers your costs. Some of the more costly credits fall under the category of Energy and Atmosphere. Solar panels start at around $1.00 per watt and creating a medium sized grid connected system for a home can run around $40,000. Most states, however, offer a 30% federal tax credit for using solar power. The initial cost is much higher, but when performing a life cycle cost analysis, the payback can begin after 10 years or so (depending on the size and power of the grid). When considering solar power, there are a few things to think about. 1. How many kilowatt hours a month do you use? You can find this on your electric bill. 2. Where do you live? In this case, South Florida. The amount of sunlight and the intensity of the sunlight make solar panels ideal. If we were in Russia, the frozen tundra with little to no sun,, solar panels might not pay back as much, if at all. 3. Where will you be installing the panels? A south facing roof is best. 4. How much of your electric bill will you offset with solar? i.e. How many panels and how much payback would you like to see? 5. What other upgrades can you complete to achieve the maximum solar power benefit (such as increasing insulation, reducing electrical load demand and upgrading windows and doors for better weatherization). Large corporations such as Radio Shack and FedEx are converting their headquarters to LEED certified buildings. Why? Not only for lower long run operating costs, but also for media exposure. A headline stating that “So and So Corporate Headquarters Achieves LEED Certification” or “Sustainable and Environmental Awareness by So and So Corporation” sheds good light on the company to the public or good “corporate social responsbility”.. Larger buildings achieving LEED certification makes the company, the builder, the architect and all involved feel good and recognize the team as conscious of their environment. With all the news of global warming and destruction of rainforests, wildlife, nature, etc., LEED certification provides a company with the upper hand on environmental marketing. In South Florida, energy efficiency and green building is increasingly common, and creating a greener city is a government objective. In Florida, there are 450 LEED certified buildings, 34 of which are in the City of Miami. There are also 177 registered projects in Miami. They range from a parking garage, to a corporate headquarters, to university buildings. The broad range of LEED projects in Miami are creating a well-rounded green city. The exposure is not just something for the parties involved but also for the City and the State. It has become a country wide effort to “LEED-ify” the way we build, reduce our emissions and protect the environment. With these sites, you can see what LEED certified buildings are around you, as well as the registered projects. No kitchen is complete without the proper countertop. 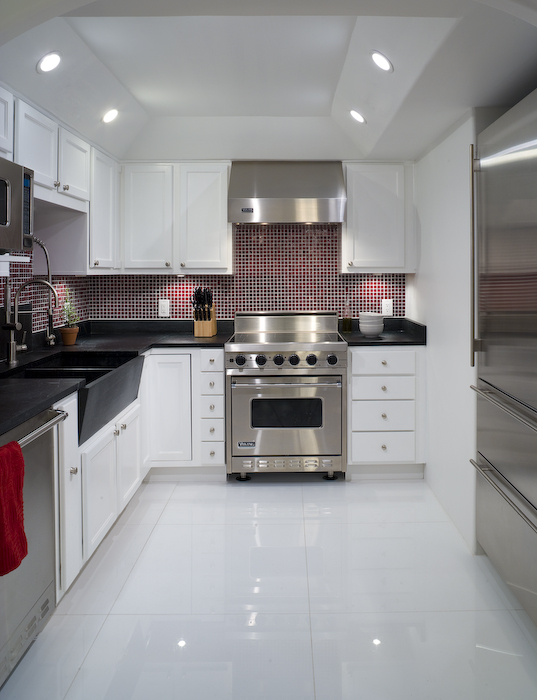 From the recent increase of kitchen renovations in my practice, I like to share some of my favorite counter tops and also shed some light on the most commonly used materials and their properties. I have used the stone as a contrast to white cabinets and colorful backsplashes very successfully. A material absent from the list are some of the newer composite materials that frequently contain recycled content and thus make them a great option for projects seeking LEED or other green building certification. I have been partial to a product called CesarStone and have used it, which contains 30% recycled content or more, in a number of projects. The clients have been satisfied across the board. One of the benefits of these man-made materials is that they tend to have a excellent color spectrum and particle options (how large and what kind of chips you can see). 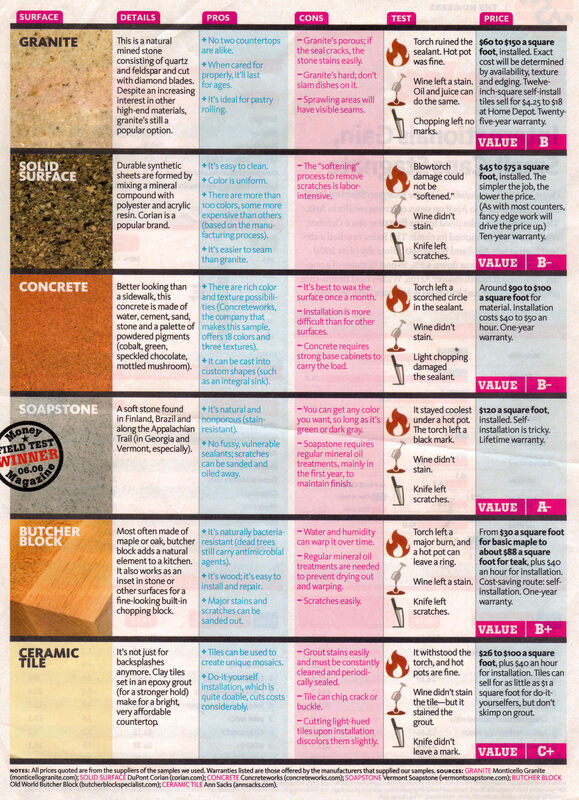 So what material should you choose for your kitchen renovation? 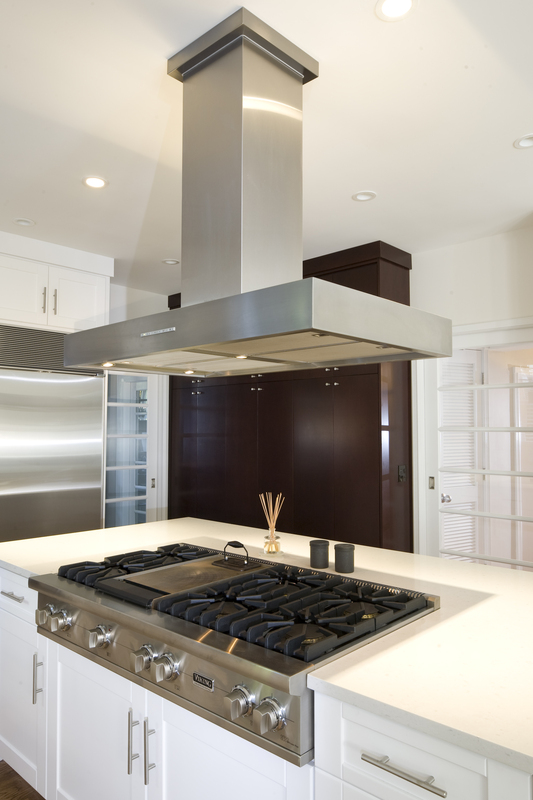 My recommendation is to make a list of the most important features and then consider the color and feel of the kitchen as a whole… it will rule out some of the options. The final decision will probably also consider cost.